I’m going to start off by discussing the books a little bit and my expectations for the movie. I read the two books back-to-back in April 2016 (according to Goodreads! ), and I remember absolutely loving them and thinking they were the cutest series I’ve read. I read the third book a few months after it came out in July 2017, and I remember reading late into the night and just smiling a lot. To sum up how I felt about the books, I really loved the whole vibe of the series and they generally made me feel happy and warm inside. I think it was soon after I read the first two books that I started following Jenny on Twitter, but it’s been so long that I can’t remember 😂. I saw most of the updates on the TATLIB movie through Jenny’s Twitter and I would always feel so excited every time! I knew that the movie would be very carefully made, since Jenny was so involved in the process and I knew the movie was in great hands. I loved the traction the movie was getting, and the trailer looked AMAZING! I watched TATLIB on Netflix around a week after release, but before watching it I noticed a lot of hype growing about the movie, with scenes and posts about it popping up on my Instagram and Tumblr feeds quite often. I was really happy that the series was finally getting the love it deserved, but I was also kind of sad that they had to get turned into movies to finally be discovered, y’know what I mean? I’m happy that the movie is encouraging more people to read YA though! The movie overall was adorable, and it was everything I hoped it would be and more!! My friends were messaging me to ask if I’d seen it yet and they told me how much they loved it. TATLIB came out at a perfect time, and combined with all the hype surrounding Crazy Rich Asians, it felt really empowering to be an Asian. Honestly, I think I prefer movie Peter to book Peter, but I can’t say anything for sure until I see how they portray him in the second movie. When I first saw the casting for Peter, I was kind of hmm, because Noah wasn’t exactly the Peter I pictured, but I didn’t want to judge before I saw him in action, so I held out. I’m actually so surprised how much I loved how he portrayed Peter! 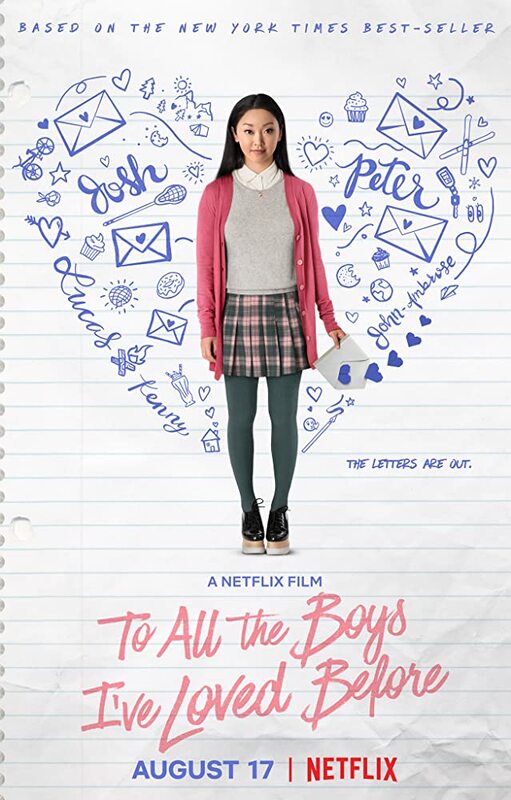 Movie Lara Jean was PERFECT. The casting of Lana Condor was amazing, and she was almost exactly what I thought Lara Jean would be. The outfits were perfectly put together, and the amount of detail that went into her room was crazy! 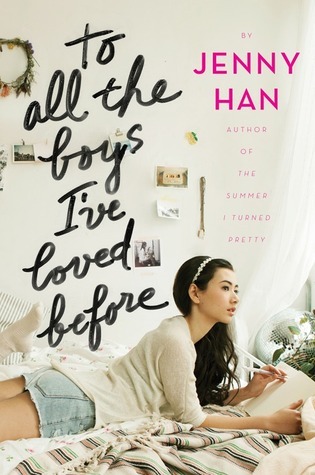 I love how she interacted with her family, and even though she seemed a bit more mature and grown-up than the vibe I got from book Lara Jean, I loved her. Movie Josh made me feel weird (??) and I didn’t like his character at all, he seemed too hollow and I would’ve liked a bit more depth from him. Movie Kitty was perfect, her portrayal was exactly how I pictured book Kitty and I loved how smart and spirited she was. Movie Margot was slightly older and looked slightly different to how I pictured book Margot, but I think the essence of Margot was captured well. Overall, I think they did a fantastic job with capturing the book’s atmosphere and essence into the movie and I highly recommend it whether you’ve read and loved the books or not! I’m so proud of the first movie and can’t wait to see how they tackle P.S. I Still Love You and the whole John Ambrose McClaren thing! I agree! While I loved the movie, I preferred the descriptiveness of the book. That’s a good point! I hadn’t thought about that before, I’ll be sure to listen more carefully if I watch it again.